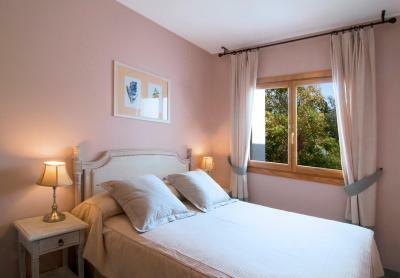 Lock in a great price for Hotel Villa de Laujar de Andarax – rated 8.7 by recent guests! The location is great with some lovely views but it’s a fair walk into town and a steep and unlit walk back. Very rural so great having the restaurant on site especially when visiting out of season. Pool area very relaxing. Brilliant value for money. 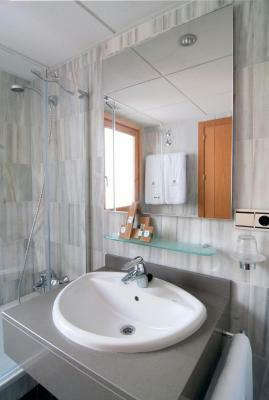 Great shower in room. 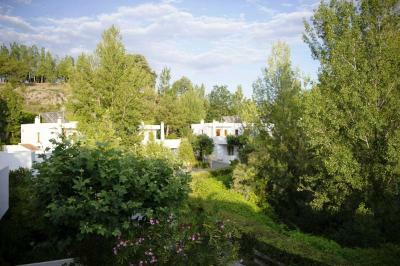 The accommodation was in villas within the beautiful grounds, all with mountain views. Breakfast & dinner was taken in the main building. Excellent food choice. Prices for evening meal were good. Swimming pool most welcome after a day walking the hills. Very peaceful location, friendly, helpful staff. Rooms spacious comfortable and clean. Definitely visit again. The evening meal and breakfast were superb. The setting is stunning as is the property. A lovely place for a family vacation. We spent just a night there but we loved the comfortable bed, the pool, the food and the views. 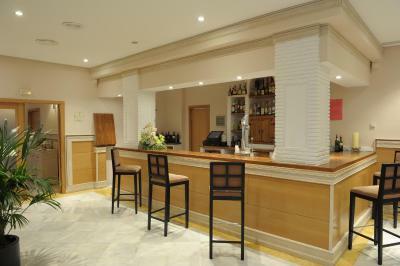 The bar provides great drinks and tapas and the prices are more then reasonable! Highly recommended! It was a lovely hotel in a very nice location. The staff where very friendly, food was good, a very relaxing place. 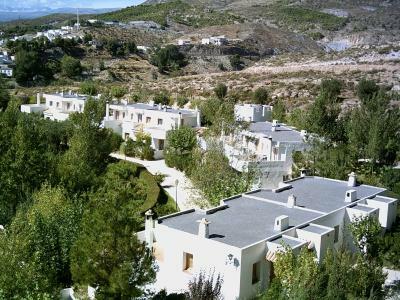 Hotel Villa de Laujar de Andarax This rating is a reflection of how the property compares to the industry standard when it comes to price, facilities and services available. It's based on a self-evaluation by the property. Use this rating to help choose your stay! 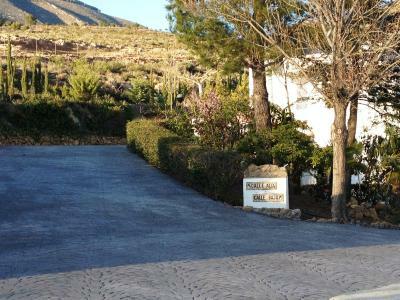 Hotel Villa de Laujar de Andarax is located in Laujar de Andarax, in Almeria. 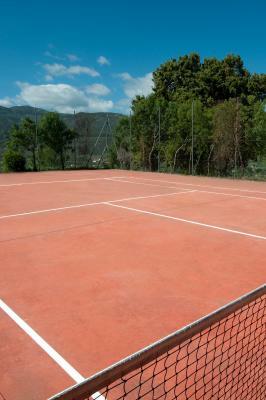 The complex offers seasonal outdoor swimming pools, a tennis court and free outdoor parking. 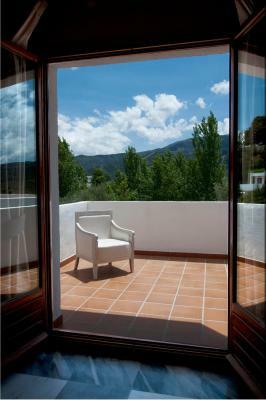 All accommodations at Hotel Villa de Laujar are built around spacious gardens. 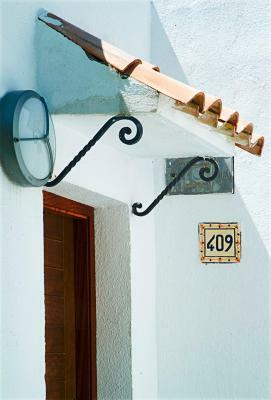 The villas have a large front porch, as well as air conditioning, a TV and free WiFi. 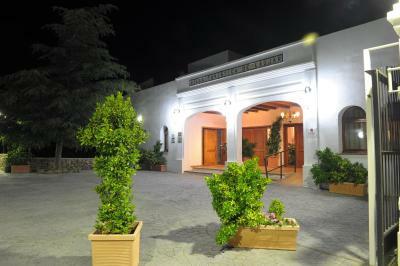 The complex includes a bar and a restaurant, with ingredients from the onsite vegetable garden. There is also a children’s playground. 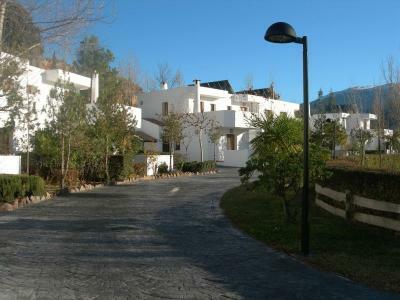 The complex is set within the Almerian Alpujarra, in the foothills of the Sierra Nevada Nature Reserve. The park’s ski slopes can be reached in less than 3 hours, by car. 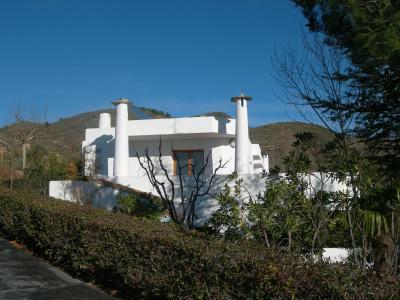 This property also has one of the top-rated locations in Laujar de Andarax! Guests are happier about it compared to other properties in the area. 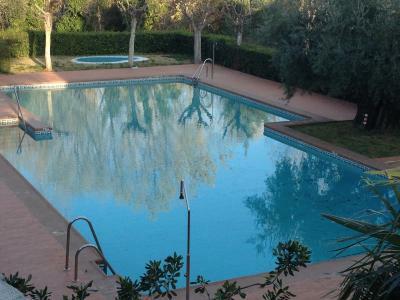 This property is also rated for the best value in Laujar de Andarax! Guests are getting more for their money when compared to other properties in this city. 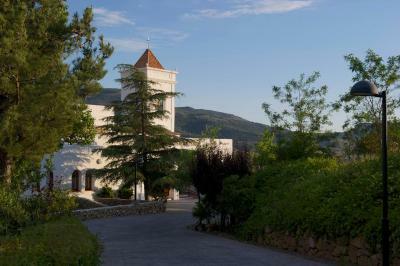 When would you like to stay at Hotel Villa de Laujar de Andarax? 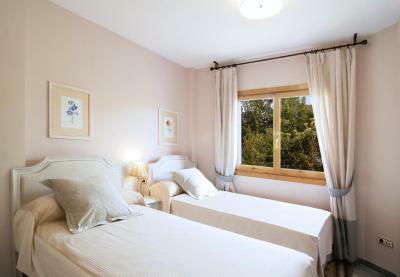 This air-conditioned studio has twin beds, a bathroom, a terrace with valley views, and a small seating area with a TV. 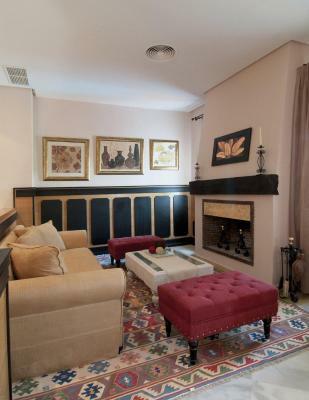 This air-conditioned villa has a large front porch, a lounge area with a TV, a separate dining room and a bathroom. 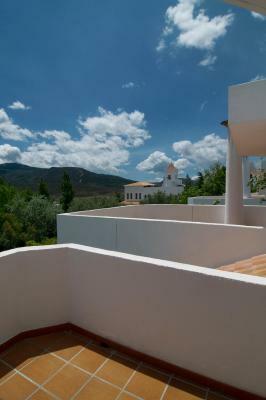 This air-conditioned apartment has a terrace with valley views, a lounge area with a TV, a bedroom and a bathroom. This air-conditioned villa has a large front porch, a well-equipped kitchen, a lounge area with a TV, a separate dining room and 2 bathrooms. It has a private pool. 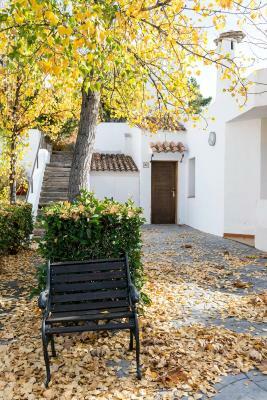 House Rules Hotel Villa de Laujar de Andarax takes special requests – add in the next step! Hotel Villa de Laujar de Andarax accepts these cards and reserves the right to temporarily hold an amount prior to arrival. Please note the published rates for half board stays on 24 December include a gala dinner held on that evening. The published rates for December 31st include a mandatory fee for the gala dinner held on that evening. Pool was closed and we weren’t notified at time of booking. The hotel also chose to not open the restaurant without clearly communicating this to us in advance and out of season there is not a lot else open. 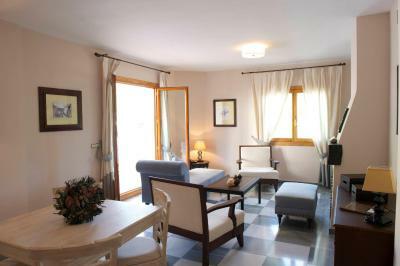 The rooms are a nice size but some furniture on the terrace would be good. I did not have chance to decided how to pay. Hotel used my registered in booking.com credit card not ask me before. Studio rooms don’t have patio furniture on the balcony which seems odd. Beds a little creaky and could do with new mattresses, not terrible but could be better. If you don’t have a car, be aware it’s a steep walk back to the hotel from the village. 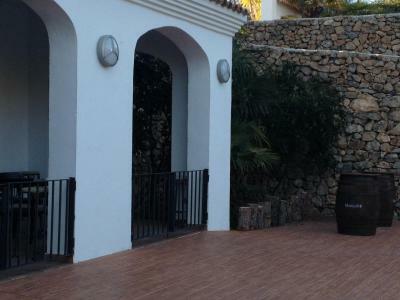 Perhaps thought might be given to providing some chairs for use on individual villa sun patios. Basically we liked everything, but there are a couple of pieces to be noted. There is no wi-fi in the rooms. Also, I wasn't able to find a hairdryer which is strange for such a well equipped hotel but the weather was warm enough to do the job. 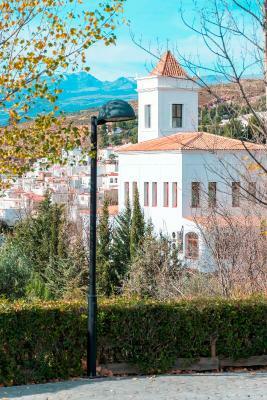 It's a bit far from the city center and you need to take the car if you want to go there. We wanted a drink about 5pm, the bar was closed, we did go and ask at reception to be told it would open at 6, but they did come and serve us drinks. Breakfast should have more fresh items ( croissants from packages of supermarket) and coffee from simple percolator. For the rest the classics are present. Weak wifi-signal in houses. Personal could be more friendly for clients. Not sufficient parasols at the pool: summer in Andalucia....? Terrasses at individual houses had no chairs & parasols at all. The armchairs in the house ware quite frankly really dirty with stains en left-overs of bread and dead insects between the intersections of the cushions. The leaking windowpost hidden behind the curtain. Etc... We were here already in 2010. Between this date and now ( summer 2018) hardly any maintanance did take place. What a piety! In the overall of the critiques you read all these remarks, on which the management replies that they take notice. But when will the action take place? For the moment it all is more or less "passable" (also due to the price), but not for too long. Lack of concurrence? 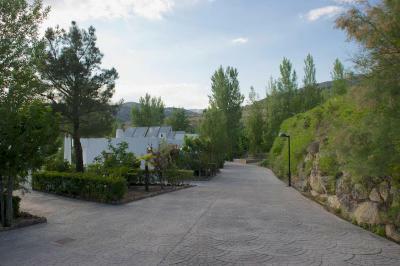 Beautifull & quiet location with good parkinglot for the cars. The usual gripe of no chairs provided for the balcony and only one in the room. Walls a bit thin, so that unless you have your tv on you can hear the one in the next room. Have stayed here many times and love the location. 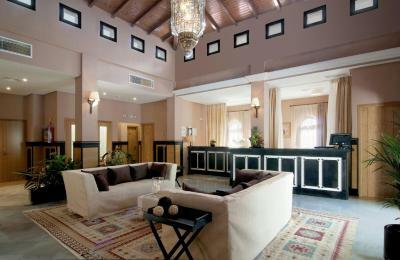 Spacious, comfortable rooms with large balconies and a great pool area. 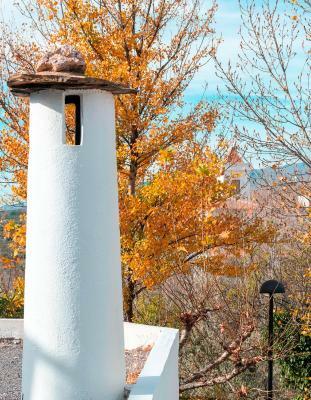 Beautiful walks from the door, or a short drive away at El Nacimiento. Recommended. The staff appeared a bit disinterested and breakfast was not really up to the standard of accommodation. 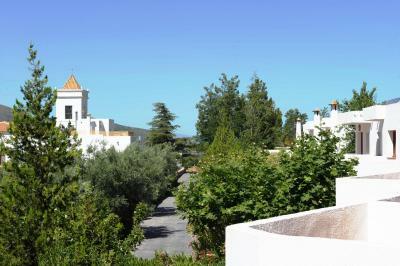 The complex of Villas is just amazing and the location and views are magnificent. Our Villa was also really nice albeit a bit cold in the evening since the central air conditioning obviously didn't operate on desired temperature. The quality of the evening meal. 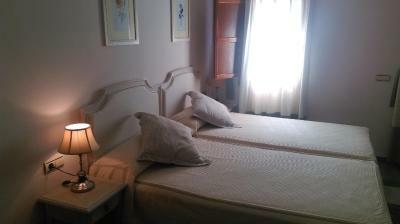 The standard and furnishings in the bedroom.